Okay. 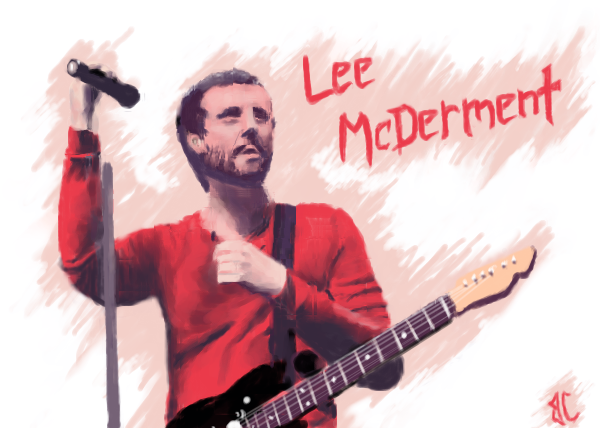 I drew Lee McDerment. He is an awesome worship leader at NewSpring Church. 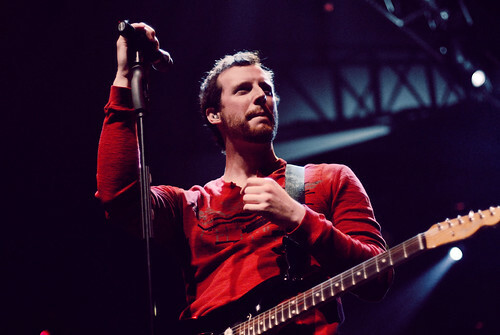 He sings, writes songs, plays piano and guitar. He truly worships God with all his heart. Since I am also working on learning guitar and keyboard and worshipping God, Lee is such a great inspiration. He gives me such confidence and courage when I think about pursuing my musical dreams of worshipping God through music on stage. He has a CD, A Matchlight in the Dark. I have it!! It is awesome! You should totally check it out. Check out some of his stuff on YouTube: here. Quite the looker, isn’t he? LOL. But seriously, check his stuff out! I’ve always wanted to change people’s hearts through music. Sway them with the love of God. As Flobots say in their song, Handlebars, “I can lead a nation with a microphone.” And like them and Lee McD, I definitely intend to! I read this this morning, and it inspired me to have a wonderful day, and leave past failures behind. This girl, Kandee Johnson, also inspired me to post much more on my blog. I love blogs that inspire people in all sorts of ways, that’s why I’m so attracted to her blog, LOL. I was having a kind of bad morning but this turned me around and allowed me to have a fresh, new start. “*Are you having bad day? *Or did someone say something about you or to you that hurt you? *Is your relationship making you feel upset, sad or frustrated? *Are you dealing with money troubles or problems with your job? *Or maybe you just don’t like where you’re at in life? I’ve felt all these things. I had a day that was pretty overwhelming for me a couple days ago…one of those days where in the silence of just hearing the shower running while you try to wash off the worries of the day…the only thing to listen to is the thoughts in your mind…and sometimes they just start getting you down. “what is my life worth anyway?”…. You are precious, valuable and worth all the treasure in the world! You, me…we all can be OVERCOMERS! We can overcome any bad day, relationship, heartache, hater, sadness, depression, lack of money…anything! Remember: Leave your past behind you…your future doesn’t need you to bring you “past-port” to get in! You are not limited by mistakes in your past or what someone says you are….you are only limited by WHAT YOU THINK ABOUT YOU! AND let me tell you- YOU ARE MARVELOUS!!!! Your future is waiting for you….for you to pick yourself up…and say, “NO WAY! I’m not letting anyone’s words or any of these circumstances try to stop the sparkle that I have in my heart…and the happiness that is waiting for me in the future. You are free to walk with colorful-balloons of happiness in your heart where ever you go! Don’t let anyone or any circumstance steal your joy! If today, or yesterday was a bad day for you…or you’ve been fighting off sadness or depression….the good news is: It may have been in your yesterday….but it doesn’t need to be in your “right now”…or your tomorrow! Send those gloomies packin’ right back to where they came from….you’ve got too much life to live to let a little “junky” downer thoughts try to weigh you down….I want you to walk holding onto the ballooons of hope, joy, excitement and love today! Expect great things…and you’ll settle for no less. Expect the worse…and you’re almost guaranteed to get it! ha ha ha….The only limitations we have are the ones we put on ourselves! DECIDE right this second: I’m leaving my past, my yeterday, and all that’s troubling me…right here…it’s not coming with me into this next minute….let all those “gloomy balloons” out of your hand to fly far, far away. This is your life to shine…make this day great…shine some love and happiness…and watch it come back to you! REMEMBER: we won’t ever be overwhelmed….but we WILL overcome anything and anyone that tries to overwhelm us! OVERCOMERS unite! Release all those balloons of worry and sadness….and let hope and love from my heart to yours sparkle all day long!!! I’m sending a huge hug through the computer to you right now! The post is here. Her blog: CLICK! !